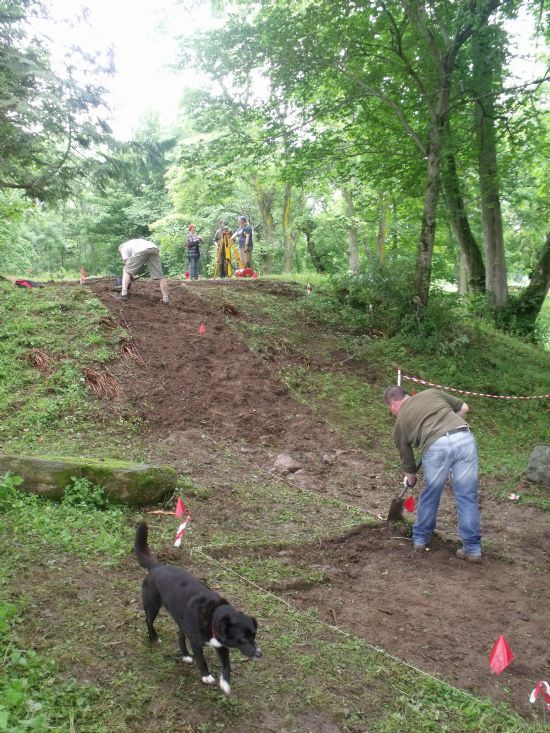 The pre-excavation classes held in Alness in advance of our 2011 excavation at Foulis went well. First of all participants got the chance to learn about the research done in the Pathways into the Past (ARCH) and the Road Through Ross (NOSAS) projects. 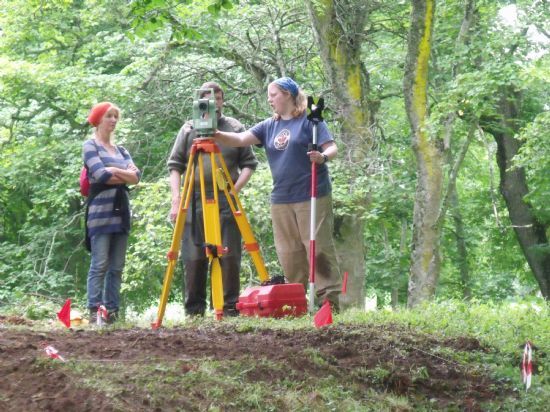 Then the group researched the site before going to dig it, looking at aerial photos, historical maps and documentary sources about the site, as well as vital online resources such as the Historic Environment Record (HER). 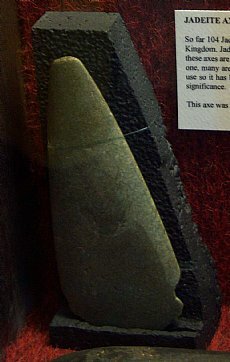 The record for the site we excavated can be found at MHG8945. As well as finding out more about the site itself there was an introduction to the history and development of excavation through the past century. Practical workshops in each session introduced participants to archaeological drawing (plans and sections), filling out context sheets, taking levels (heights) using a dumpy level and the dreaded Harris Matrix! 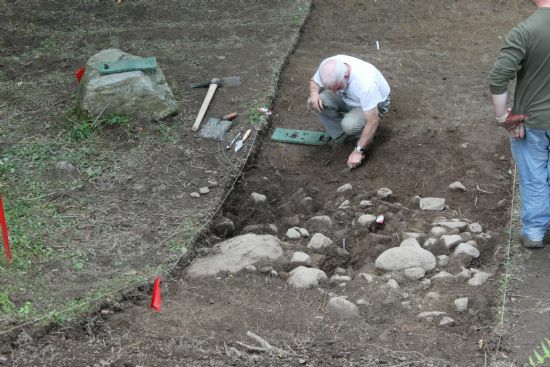 These pre-excavation classes helped prepare people who had never been digging before and gave others the chance to brush up on their recording techniques. 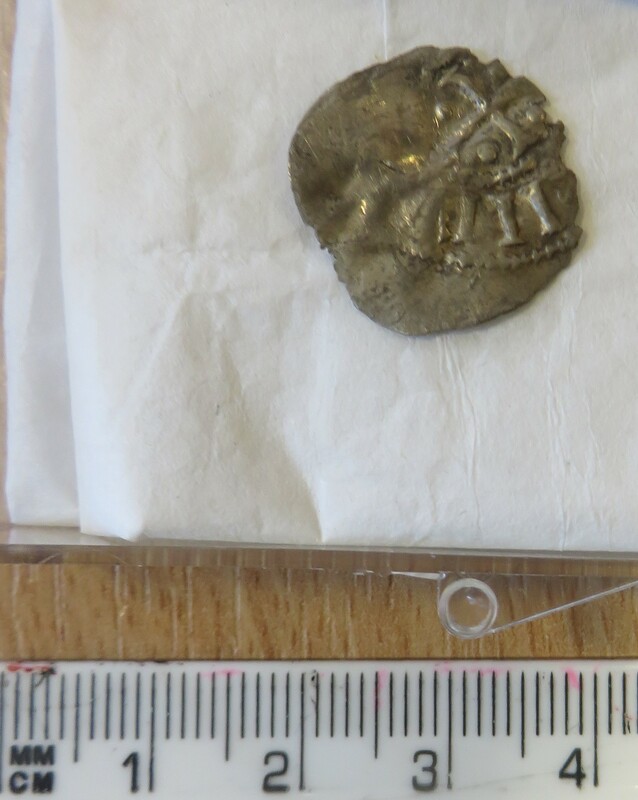 The first stage of the site investigation was led by Eric Soane of Highland Historical Search Society who conducted a metal detector survey on site, unearthing a series of metal finds from the more recent past (1700s-1900s). These included musket balls, a shoe buckle, a copper ingot, a lead stylus, a button and a George III ‘bullhead’ coin. This told us that the area had been in use in the past few centuries and gave us some insight into the reuse of the site. Further investigation confirmed that the mound was not natural. 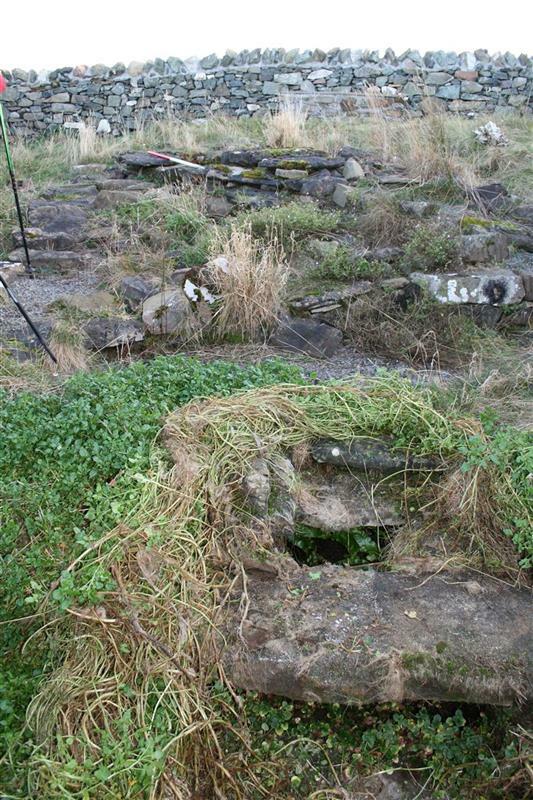 A substantial spread of stone on the top and base of the mound also hinted at structural debris or stone dumping. At this point the purpose of this is unknown. Meanwhile in a trench in the nearby field the search for the location of the old route way run- ning through Foulis identified some ephemeral archaeological features. Extensive environmental sampling took place and we await the results to give us more data on this feature. In spite of some challenging weather, evaluations show that people enjoyed the opportunity to try out a range of activities including towelling, using a Total Station, finds conservation and planning. After the summer digging was over we held some post-excavation classes to look at what happens next. Participants got the chance to get involved in data entry, soil sample processing, including flotation and sorting, as well as inking up site drawings and learning more about the finds and museum cataloguing process. These were followed by classes that drew together all the information from the summer to create a small exhibition. 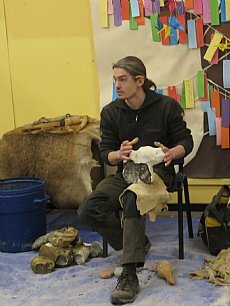 The winter snows and storms gave an extra challenge to the class members and tutor, but a fine exhibition was produced, which included the panels shown right, and a display case showing some of the finds from the dig. 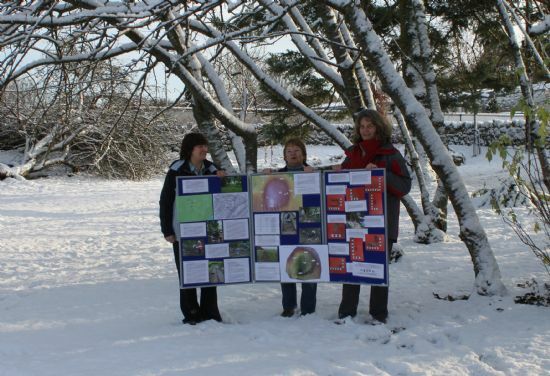 This went on tour to several locations at the beginning of 2012, and was shown in the Mercat Centre, Milton during January, Evanton Cornerstone Cafe during early February and in Dingwall Library until the end of March and at the ARCH 'Taking Part in the Past' Festival in April.